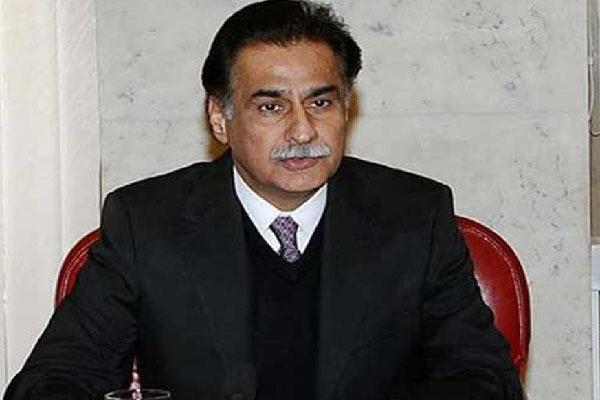 ISLAMABAD, Aug 31 (APP):The Speaker National Assembly Sardar Ayaz Sadiq has written letters to the Speakers of 196 Parliaments to highlight the rampant, unending and gross human rights abuse in Indian Occupied Kashmir and to garner diplomatic and political support for the freedom struggle of Kashmiri people. Speaking to the President of Azad Jammu and Kashmir, Masood Khan, he said that Kashmir issue is the core priority of Pakistan’s Parliament and there is a unanimous consensus across the political parties in the Parliament. Security Council agenda. The forceful occupation of Kashmir was against the modern norms of nation state and people’s basic right to self determination the right to form government as per people’s aspirations free from foreign interference. oppression will never suppress the aspiration for freedom and right to self determination. political and diplomatic support to the just struggle of the Kashmiri people for their unalienable right of self determination, as enshrined in the UN Charter and relevant UN resolutions. received a new impetus during the tenure of the current government. Parliamentarians as envoys to garner diplomatic support for Kashmir cause, he remarked that Parliamentary diplomacy will awaken the conscience of the international community to take notice of barbarity and oppression of the Kashmiri people by world’s so called largest democracy. Pakistan has called an International Conference on Kashmir issue on 13 14th October 2016 in Islamabad to highlight the human rights abuse in Kashmir and generate international support for freedom struggle of the Kashmiri people. He added that the conference will be attended by Members of Parliaments, Civil Society, Media and intellectuals from across the world. He outlined that peace in the region is unthinkable when India continued to deny Kashmir’s their inherent right to self determination and when their peaceful demonstrations were met with Indian high handedness. their aspiration for freedom and a peaceful future’. Speaker remarked that he pulled back Pakistan from hosting 61st Commonwealth Parliamentary Conference as its chosen President when India agitated for extending invitation to Assembly of Indian Occupied Kashmir. invitation to the Indian Occupied Jammu & Kashmir Assembly to attend the Conference, as it would have been in violation of the UNSC Resolutions. Kashmir was more important than hosting Commonwealth Parliamentary Conference, said a press release. in every meeting of Parliamentary Friendship Groups and visits of Parliamentary delegations. The President of Azad Jammu & Kashmir Masood Khan highly appreciated the endeavors of the Parliament of Pakistan in taking up the Kashmir issue at various bilateral and multilateral forums. to supporting the Kashmir cause. He expressed confidence in efforts of the Speaker National Assembly Sardar Ayaz Sadiq to prioritize Kashmir issue at international forums.